JML Anglers Alliance … Work Hard! FISH HARDER! MIMIX Corporation was founded in June 2013 by a passionate angler from Singapore. Since from the day of incorporation; MIMIX Corporation has been steadily and consistently growing to becoming one of the most competent player in the life-like handmade fishing lures. MIMIX capable of mass producing the high quality realistic / life-like hand-painted fishing lures which’s not only beautiful in looks but also in actions. With our experienced and dedicated team, MIMIX has set its vision firmly on the future, with the goal of evolving into a truly world-class company and becoming one of the most competent players in producing life-like handmade fishing lures. 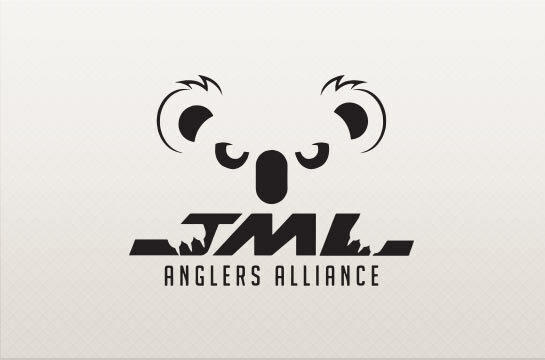 It is an honour for JML Anglers Alliance to distribute MIMIX in Australia. We believe MIMIX has unique appearance and breakthrough lure concept, which are the perfect imitation for mouse, frog, grasshopper, cicada and lizard etc. We believe and it is already proven themselves to be excellent to target predators such as Bass, Trout, Perch, Sooty Grunter, Cod and Barra. Livingston Lures is committed to bringing fishermen everywhere innovative, technologically advanced lures designed to flat-out catch fish in fresh and saltwater. With an exciting new line of crankbaits, lipless crankbaits, topwater baits, jerkbaits and wakebaits featuring unique sound and vibration technology, Livingston Lures is set to make some real noise across the fishing industry. Livingston Lures also feature exclusive electronic sound technology that, when activated by water, periodically emits a “croaking” noise that simulates the natural sound of a panicked baitfish. Not dependent on lure motion, this feature gives Livingston Lures an added sound component that “calls to fish even when the lure is suspending or sitting motionless. Many new Livingston Lures models add yet another key visual component to trigger strikes from fresh and saltwater gamefish – internal LED lights in the lure’s eyes or tail. Activated by water, these lights softly and naturally fade in and out and cycle repeatedly with the electronic baitfish “croaking” noise. JML Anglers Alliance are very excited to distribute Livingston lure and we believe it is the future of fishing with E.B.S( Electronic bait sound) technology. Dragon fishing tackle is the second biggest fishing tackle company in Poland. Dragon fishing include fishing rods, reels, soft lure, jighead, scents, metal lure, fishing line, and fishing accessories etc. JML Anglers Alliance are particularly interested in the quality and price for the soft plastic, jigheads and the scents. Dragon V-lures Soft plastic such as Maggots and Diver single tail soft plastic provide both unique design and unbelievable value for money. Dragon jigheads and scent provide excellent quality which are the great companions with all JML Anglers Alliance soft plastic range ( ECOGEAR/NORIES/WESTIN/DRAGON). Overall Dragon Fishing tackle is another great addition in JML Anglers Alliance. We believe they provide exceptional value for money. Anglers can really enjoy fishing without worrying too much about their pocket. The first ever Westin lure was created by the late Ingvar Westin, a skilled toolmaker who wanted to make a toy to his children. He carved a fish which wriggled and rolled like a real fish as they dragged it through the water. During many experiments and tests, Ingvar Westin has created the famous “Westin Roll” body rolling action for the lure. Even though he was creating a toy, Ingvar Westin was driven by passion and perfection. What started out as child’s plaything in 1952 has now become a well-establish and trusted brand in the fishing industry in Europe. Today Westin offers wide range of trusted lures, rods and other fishing equipment – all produced with the same passion for perfection as Ingvar Westin’s original lure, and created to satisfy those looking for the best to pursuit monster fish. In 2014, Westin has make a step further to enter to Australian market. JML Anglers Alliance is super excited about distributing WESTIN gear. It is set to target trophy fish such as Australian bass, Barramundi, Snapper, Tuna, Mackerel, and Kingfish etc. Westin soft plastic ranges provide ultra-realistic finish, incredible action and excellent value for money. Additionally, Westin hardbait and Hybrid lures have the combinations of strong action, toughness and perfect balance for any Australian species. Finally WESTIN W8 rods are the pinnacle of a fishing rod in modern days. It has the latest technology of 3M, Powerlux Composites 1000, and Fuji components which is the result of the most sensitive, feather-weight, and most powerful rod on the fishing market today. The wide range of Westin is going to cover anything from freshwater to bluewater. We JML Anglers alliance honestly believe Westin gear is going to make a phenomenal impact in the fishing industry in Australia.